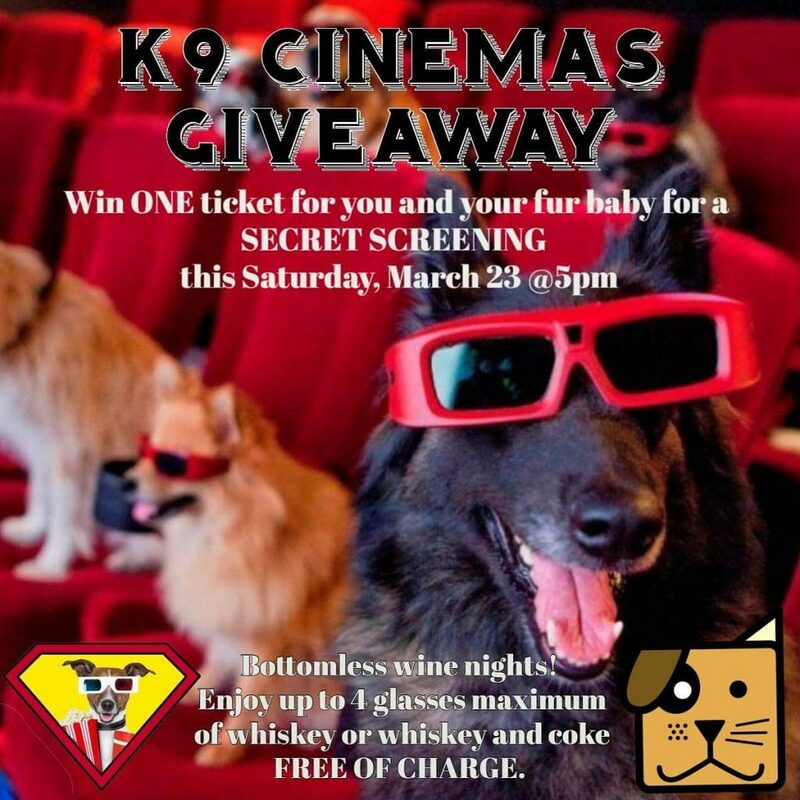 Win a free ticket for a secret screening at K9 Cinemas (located at 1192 Greenway Dr., Plano, TX) for this Saturday, March 23 @ 5 pm. Second Chance SPCA will be there hanging out with some of our doggy residents so why not join us? The lucky winner will be part of their bottomless wine nights! All you can drink FREE wine for 21+ visitors. Have up to 4 glasses of wine or whiskey and coke FREE OF CHARGE. A surprise dog-themed movie will be announced on the day of your movie. This ticket includes the admission of one fur baby to join you. Maximum 2 dogs per human. Additional Pup Child Ticket is available for purchase for your second K9 companion. So, what do you need to do? Follow Second Chance SPCA, tag a friend in the comments and share this post. The winner will be selected tomorrow, Friday, March 22 at 4 pm and notified via Messenger (must reply within 2 hours of announcement). Stay tuned for more!